The portal Casinoz continues to determine the best slot machines of the month in 2014. Each month we select three (sometimes four) novelties that have made the greatest impression on readers and experts of our website. At the same time we do not pay attention to the brand under which the game is released. The main criteria for the choice include quality of graphics, attractiveness of gameplay, level of the theoretical payback, functionality and reviews of users. The year 2014 with its joys and challenges is over. And we need to close the ranking of the best video slots of the month, making a summary of the results of December. It should be said that the last selection was very, very interesting, because it included very exciting, incredibly spectacular and rather unusual models. We advise readers of Casinoz to test them all at least in training mode. Electric Sam is amazingly colorful and cheerful slot from ELK Studios, which will make you familiar with the king of trolls, who is fond of everything that runs on electricity. Therefore, everything in his kingdom is suffused with bright light of colored bulbs, lanterns and other illumination. As far as gameplay is concerned, this model offers a method of forming 243 combinations excluding lines, all kinds of reward options, attractive special symbols and a fairly high rate of the theoretical payback. Advantages of the game include also understandable in any language design with a convenient control panel and high functionality. 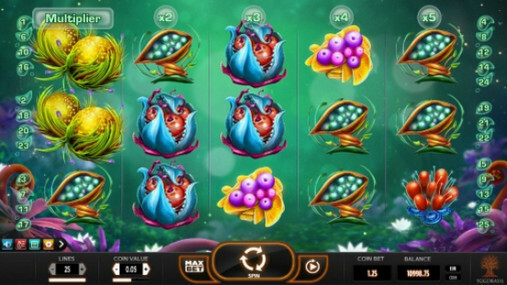 Draglings is a new development of the perspective company Yggdrasil Gaming, which continues to surprise fans of truly exquisite slot machines. The stylish design with an original arrangement of reels and lines of this slot is just amazing. As you have already noticed from its name, it is devoted to the little dragons. In fact, they are so small that most of them have not yet hatched. Gameplay will not allow you to get bored. In this model there are three kinds of Wild and free spins with advanced options, participation in which would be pleasant to anyone. The Invisible Man is an innovative product from the company Net Entertainment that is one of the leaders of the market of software for Internet casinos. This game is devoted to the famous novel by H.G. Wells. Developers managed to perfectly capture the atmosphere of this literary work and provided its creation with interesting features. Playing the video slot, you will participate in a bonus round and profitable free spins and be able to take advantage of the special images, enjoy amazing graphics and excellent soundtracks. In conclusion, we should mention that it was quite difficult for us to choose the best three models, since many other interesting slot machines were released in December. Their reviews can be found in a special section of Casinoz. Developers of software for casinos released a lot of interesting models in the last month of autumn of this year. We chose three of the most exciting slot machines that readers and reviewers of our portal liked the most. You will surely need to test them. 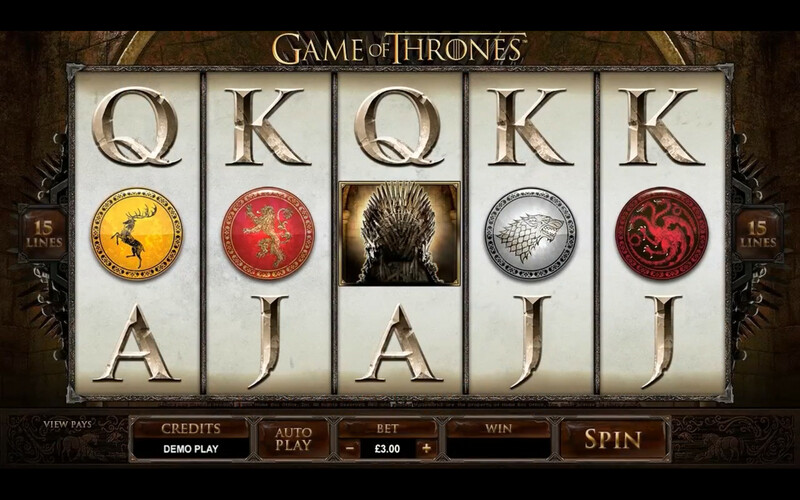 Game of Thrones is a video slot from the company Microgaming that is the most anticipated new product in November, because it is devoted to the cult television series on the basis of the famous novel by George Martin and not less than half the population of our planet admires these works. Developers of the slot machine presented a surprisingly interesting and spectacular model with superb graphics, original gameplay features, numerous combinations and several unexpected solutions for common problems. There is no sense to describe them all. You should better try to test Game of Thrones yourself and share your opinion about it with us. Ladybug Adventures is a slot machine, developed on the basis of the less famous works, as this anime does not enjoy worldwide popularity. However the video slot is also very interesting and even exciting. All users who risk testing it will surely get a lot of positive emotions. They will arise due to the huge number of combinations, cool special symbols, lucrative bonus rounds and wonderful design. 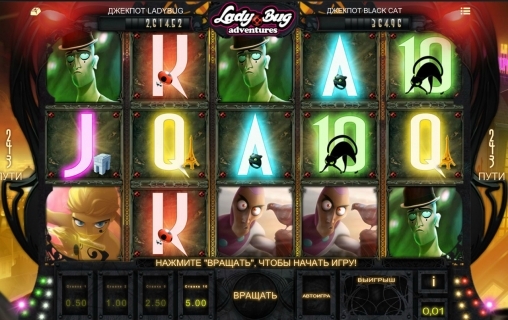 Players can estimate themselves all advantages of Ladybug Adventures testing this slot. Cosmic-Fortune> is an excellent novelty from Net Entertainment, and this company does not release bad gambling games. You look forward to meeting with funny aliens who can cheer anyone who is not afraid to become familiar with them. Many exciting features are offered in the slot machine, including Avalanche Feature, symbols with advanced options and five progressive jackpots. 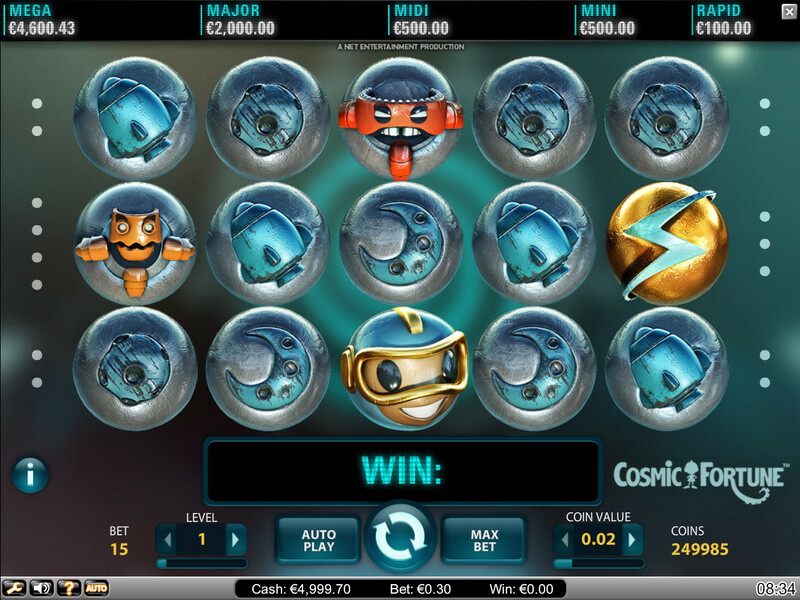 In short, find a couple of minutes to become familiar with the features of Cosmic Fortune. All slot machines, which are discussed above, are considered in great detail in reviews in a special section of our site. Search for articles about them following the links. It's time to determine the top three models in October, which include very spectacular and amazing online slots casinos. If you have missed their reviews on our website, or simply has not have time to test these video slots, you should become familiar with them personally. They are really cool. Pinguin Splash is another masterpiece from the studio Rabcat, obliging to think again about the incredible potential of developers who work in this company. This slot machine is close to the ideal of any fan of such gambling games. It is cheerful, versatile, not trivial and intuitively understandable in any language without translation. Our reviewers and readers were delighted with cheerful characters of the video slot and gameplay options, including very lucrative special symbols, incredible payout ratios (up to x20 000) and excellent free spins. Penguin Splash can be run directly in the browser, which is also very convenient. Golden Ticket is an original model from Play'N GO, devoted to circus performers. Surely you have already noticed that the company never offers trivial games. All models that are released under this brand have original interface and interesting features. Golden Ticket has five reels, which is typical for video slots. But the layout of images on the screen is quite unusual. They are arranged in five rows, so you can see twenty-five symbols simultaneously. 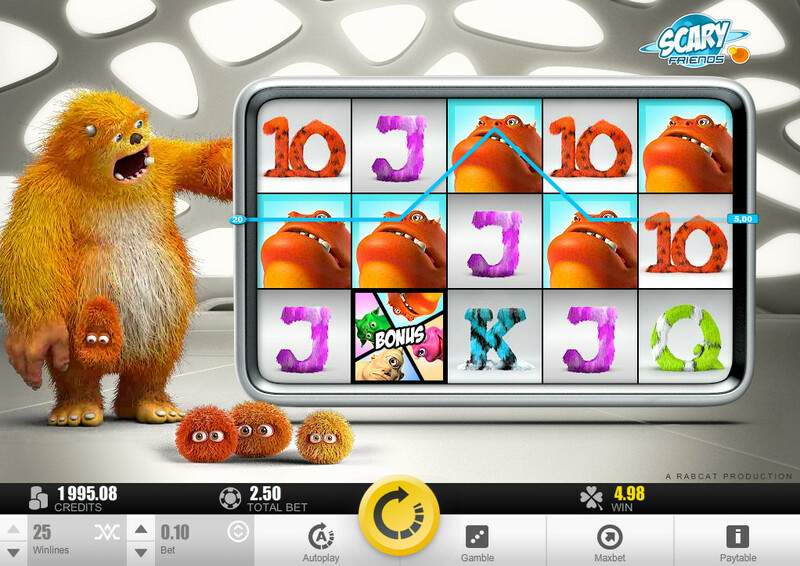 Slot machine offers many winning combinations, because they are formed without the active lines right on nearby reels. When paylines disappear, they are replaced by new ones, resulting in new payouts. 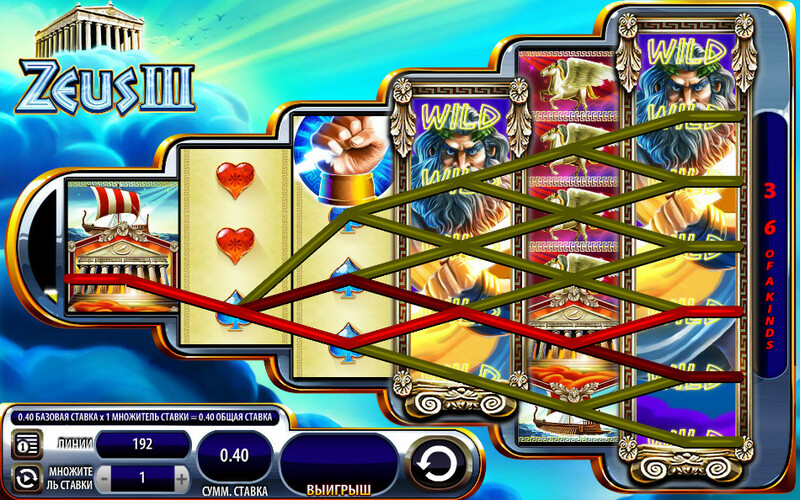 Furthermore, the model pleases players with prize spins, special images, additional multipliers and other options. South Park - Reel Chaos is a sequel of the popular video slot, inspired by the acclaimed animated film for adults. Developers from Net Entertainment decided to exploit success that was achieved by the first part of the game and created even more interesting and spectacular model. South Park - Reel Chaos is developed in the traditional style. It has a few bonus options, where cartoon characters become protagonists. Special symbols help to get payouts more often, and the prize spins guarantee winnings without any risk. In addition, the video slot has all the advantages that have gambling games of this brand. We are talking about convenient interface, flash version, various settings, and so on. A lot of interesting video slots, released by various brands, appeared in online casinos in the first month of autumn of this year. We have chosen three slot machines that according to our readers and reviewers are worth being present in our ranking. If you still have not tested them, do it. Games are really cool. Viking Quest is a model manufactured by the company Big Time Gaming, whose products may be unfamiliar to you. 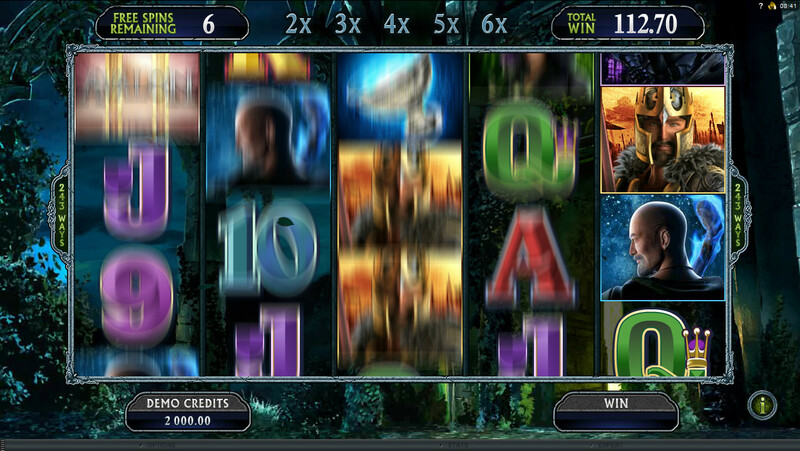 The video slot Viking Quest will surprise you with unusual interface and original gameplay features. The so-called mega-symbols that occupy several positions on the screen at the same time, generous free spins and exciting bonus rounds especially stick in the memory. There are not too many settings, but they hardly can be useful. The slot can be run in download-based and flash versions. Wild West. Developers from NextGen Gaming gave so unoriginal name to its excellent 3D video slot. They released a cool game, devoted to the typical characters of the Wild West. It has special characters, prize spins and other options that are traditionally popular among the majority of fans of this kind of gambling entertainment. We should also praise the designers, because thanks to their efforts, the slot machine may brag magnificent three-dimensional graphics and very funny symbols. Titan Storm is another model from NextGen Gaming, presented in this ranking. It has pleased our visitors and experts with numerous advantages, including nice design, a large number of combinations with high odds, additional multipliers and cool control panel that is understandable even for novice users. The topic of the slot machine Titan Storm will not be considered in detail. We merely mention that it takes you into the world of Greek mythology. Read more about all games in individual reviews following the links. Besides, we recommend that players should familiarize themselves with other models, presented for users in September. There are other high-quality slots among them. Developers of software for online casinos do not cease to please fans of this kind of gambling products with excellent video slots. In the last month of summer of this year, the world's leading brands presented new amazing novelties to the public. And we chose three most interesting models, based on the opinions of our readers and experts. So, we offer our readers the best slot machines of August. It is interesting that all of them are devoted to the famous fairy tales that are familiar to each of us from childhood. Royal Frog is a model manufactured by Quickspin. This company is known to refer to the famous fairy tales, releasing them based on the motives of spectacular games for casinos. 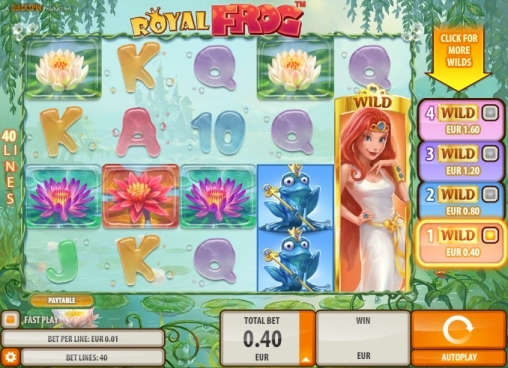 And now they offer a video slot about Royal Frog. It just can not help being pleasant, because it is good in everything: a set of cool features, great graphics, original findings, excellent design, user-friendly interface and other features. It also has a fairly high level of the theoretical payback. 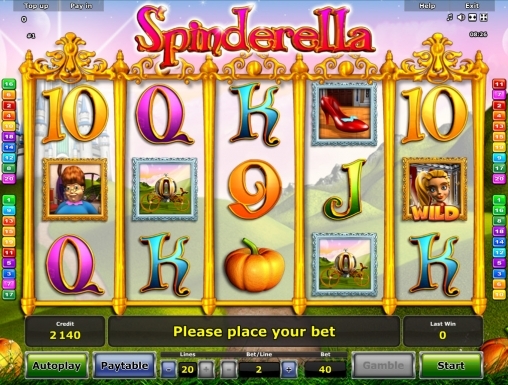 Spinderella is a game from Novomatic that has proved once again that it is one of the leading companies on the market of software for gambling. Its free slot machine is devoted to Cinderella, who is the main character of the world-renowned fairy tale, popular among millions of children and adults. This slot impresses thanks to high-quality three-dimensional graphics, funny gameplay options, clear control panel and other advantages. 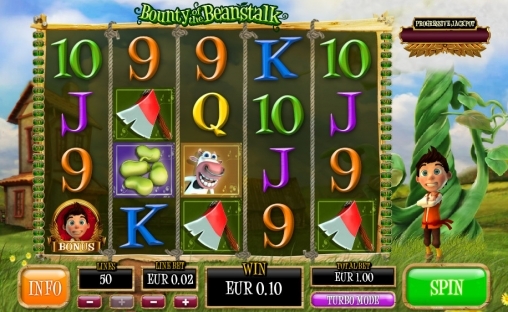 Bounty of the Beanstalk is a cool slot machine for those who fell in love with a fairy tale about Jack and the Beanstalk. Of course, this is not the first video slot created by this story, but it certainly occupies one of the leading places among them. Developers from Ash Gaming, owned by Playtech, tried their best, so they managed to develop a great game with three-dimensional graphics and impressive selection of various features. It will surprise you with great bonus rounds, lucrative free spins, generous special symbols and other options. In addition, many other high-quality gambling games of many famous brands were released in August. Their reviews can be found in a special section of our site. Stay tuned in order to know everything about updates in the world of gambling. Last month was productive for great slot machines for online casinos. Several well-known manufacturers pleased fans of such gambling entertainment with excellent video slots. However we quickly made our choice, because some models were particularly interesting and successful in all respects. We introduce three winners in June. Castle Builder is a really amazing model from the company Rabcat that strikes the imagination with unusual gameplay features. It resembles computer games of the RPG genre like no other slots. You will not only collect combinations on active lines and use additional features, but also perform tasks of royals, building beautiful castles, palaces and fortresses for them. Players will receive prize payouts for execution of orders, as well as winning titles that provide different privileges. 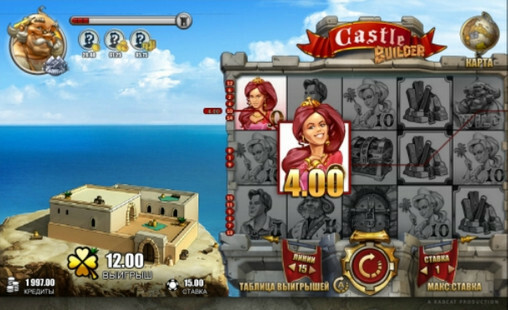 We are not going to mention all advantages of the delightful slot machine Castle Builder, but it should be noted that interface is easy to use and logical. Also very high-quality graphics should be mentioned. 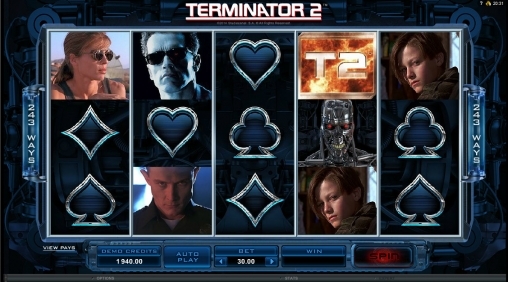 Terminator II is a video slot, created on the basis of the popular sci-fi action movie that was the decoration of the platform Quickfire from Microgaming and increased the huge number of fans of products from this brand. Numerous features, stunning graphics, large payouts, interesting findings of developers, convenient toobar and various settings speak well of this game. In general, it is necessary to test it personally. 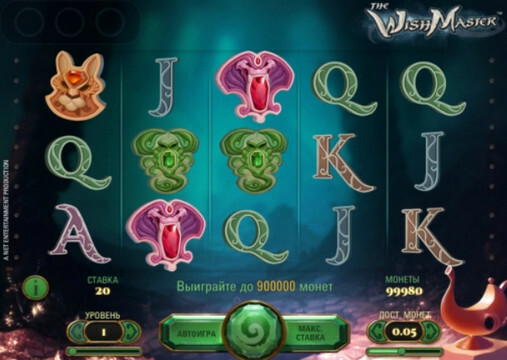 The Wishmaster is another video slot that reminds us of the popular movie. In this case, experts of Net Entertainment offer us the game about the film Wishmaster about the evil djinn who takes away the human souls. But here players should not be afraid of him. Every meeting with him promises only payouts. Features of special symbols and bonus spins round are particularly interesting. We will not enumerate other advantages that are common to all games of this brand. We hope that you've already appreciated them. Perhaps our selection does not match your preferences. In this case, tell us in comments, what games do you like. A detailed review of the above-mentioned models, you will find following the links. In May, the manufacturers of software for online casinos have released some very interesting models, so it is very hard to choose the best three models. After analysis of reviews and rankings of our readers, we have included the following video slots in our monthly ranking. 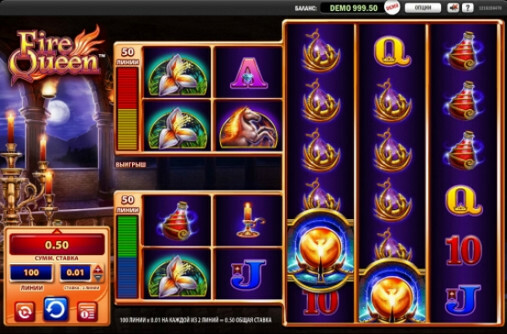 Fire Queen is a stunning slot machine manufactured by WMS Gaming. It surprises players with unusual interface with three independent screens that interact with each other in some cases. You can play it for a very wide range of bets. Winning combinations are formed almost each spin. Special symbol and bonus spins round are particularly lucrative. 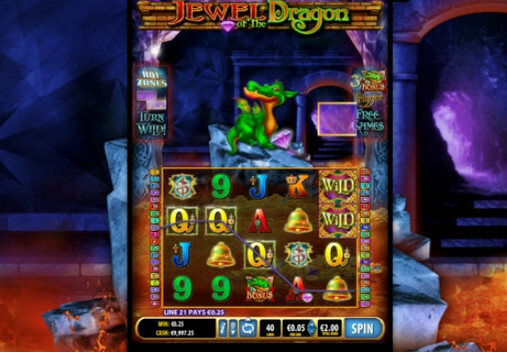 The video slot Fire Queen sticks in the memory due to its bright and high-quality graphics, convenient control panel and items. Jewel of the Dragon is an original model from Bally that reminds of the very popular game Tetris. During the spin, while the reels are rotating, figures are dropping from the top of the screen covering several positions. Symbols that are in these areas will be transformed into Wild. In addition, the game has prize spins and other exciting options. It is not difficult to understand all features of the slot machine in any language, because the control panel and table of ratios are intuitively understandable. 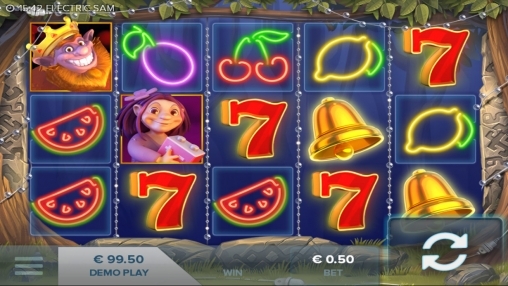 Frutoids is another unusual and incredibly colorful video slot manufactured by Yggdrasil Gaming. The main heroes of the game are fabulous creatures called frutoids, who share properties of both plants and animals. 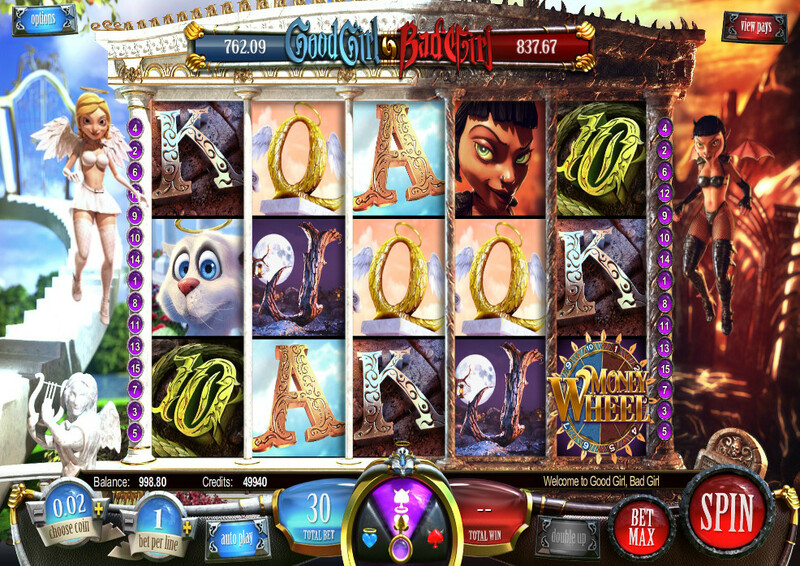 Gameplay of the slot machine is not very diverse, but it pleases players with the feature of repeated spins, due to which some rounds are very profitable, because additional ratios are taken into consideration during calculating payouts. Quite high theoretical payback is embedded in this model. It has many user settings that give the ability to customize interface and gameplay in accordance with personal preferences. Other free slots Football Football Carnival, Football Star and Golden Goals are also worth noting, which were presented in May 2014, on the eve of the World Cup in Brazil. Their detailed reviews can be found in a special section of the portal Casinoz. Fewer reviews of slot machines were published on our site in April than in the previous months of this year. This is partly due to the smaller number of new products. Nevertheless, there are several very interesting models among the considered video slots, among which we have chosen top three taking into account opinions of our authors and readers. 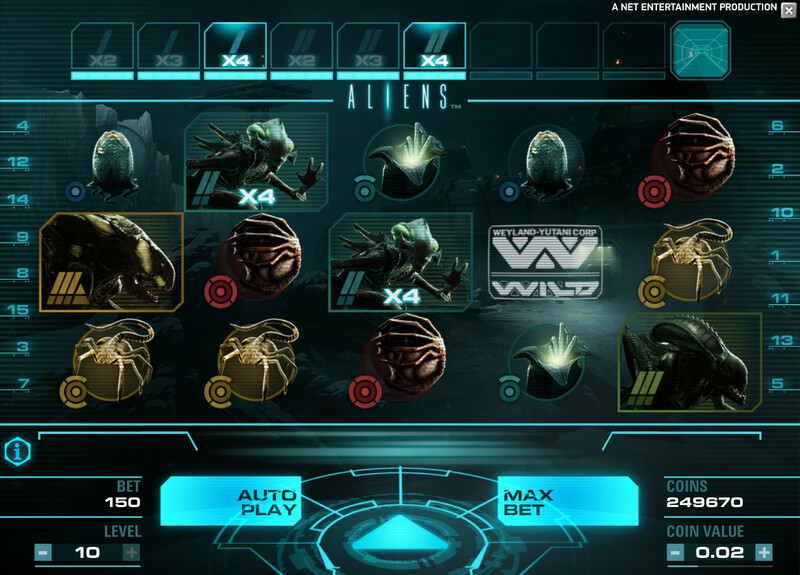 The free slot machine Aliens from the company Net Entertainment is released in cooperation with the famous studio 20th Century Fox, since this slot is devoted to the sci-fi movie Aliens. If you are a fan of this movie, you just have to test this game, although it will be interesting even to those who have never watched this cult movie about a struggle of team of astronauts with extraterrestrial beings. This model fascinates by a variety of features, amazing graphics, stunning soundtracks and spectacular interface. You will take part in the battle with the monsters, designed in the style of high-quality computer game with several levels. You will get free spins a number of times. You will enjoy features of special symbols. In short, it will not be boring at all. The video slot Nest Egg from Playtech is not as bright as the game that won first place, but it also makes a very good impression. This model is intended for fans of birds living in the forests and fields. It offers several cool features: fascinating bonus round, very attractive special symbols, progressive jackpot, free spins, etc. The advantages of the slot machine include high-quality graphics, presence of numerous settings and ability to be run in flash mode, using the client program of the casino. Girls with Guns II - Frozen Dawn is a sequel of the slot machine Girls with Guns - Jungle Heat, which was released by the company Microgaming about a year ago. The second part of the video slot that is popular among customers of many casinos running on the platform of the brand is even better than the first one. Now girls from the Special Forces fight against terrorists in the Arctic sea ice. Watching their exploits, you will participate in free spins and bonus rounds, take advantage of special symbols and just enjoy the excellent graphics. This game can be run both in the browser and in the casino program. It should be noted that other interesting models were also released in April. Their reviews are available in a special section of the portal Casinoz. We offer you top three slot machines, which were presented to the public by different manufacturers during March of this year, according to the version of readers and reviewers of the portal Casinoz. We are going to tell you in advance to avoid repeating that all the below-mentioned models are available for testing in free mode. The first place is given without hesitation to the video slot The Three Musketeers and the Queen's Diamond. The Three Musketeers and the Queen's Diamond. The story about Musketeers and jewels of the Queen in the presentation of the developers of Playtech has turned out to be surprisingly funny. And how could it be otherwise, if this model offers an incredible number of excellent features, numerous combinations, profitable special spins and stunning graphics. In general, you just have to test the slot machine The Three Musketeers and the Queen's Diamond. The second place in the ranking belongs to the second part of the slot Black Knight from WMS Gaming. Users have appreciated the quality of design, a set of options and convenience of interface of this model. We especially like capabilities of symbols and features of the round of bonus spins. Read more about Black Knight II in our review. 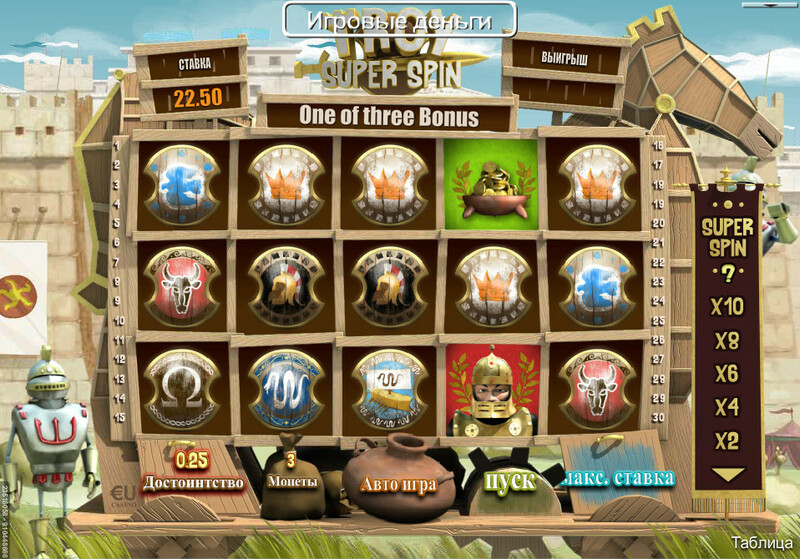 The bronze medal is given to the online slot machine Troyan Super Spin from SkillOnNet. It is an excellent 3D video slot that can not only cause a surge of adrenaline into the bloodstream, but also make you smile or even laugh. The main characters of the game are very funny, and features are surprisingly fascinating. Of course, the excellent three-dimensional graphics and very convenient control panel should be praised. Other very interesting slot machines were released in March. Many of them are worth being present in the ranking of the best models, but the format implies a choice of only three video slots. Therefore, if you want to know about all cool novelties, read the latest updates in the section of reviews. In the ranking of the best video slots of the last month there are two models of companies that have recently started releasing gambling slot machines for online casinos. This indicates that the famous brands can not rest on their laurels, because ambitious competitors are hard on their heels. However the first position is given to the game from one of the market leaders. This is a free slot machine Avalon II, which is presented to the public by the company Microgaming. The first part of the slot until the last days has been extremely popular among users, and its sequel causes a stir. Indeed, this model is really good: a set of features, including an amazing bonus round with several levels, stunning interface, ability to play without installation of software, a variety of settings, etc. Therefore, every connoisseur of virtual gambling should test it. And now let us talk about slot machines from less famous companies. Yggdrasil Gaming has already proven itself to be a manufacturer of very high-quality gambling games, but video slots of its range can still be counted on the fingers. 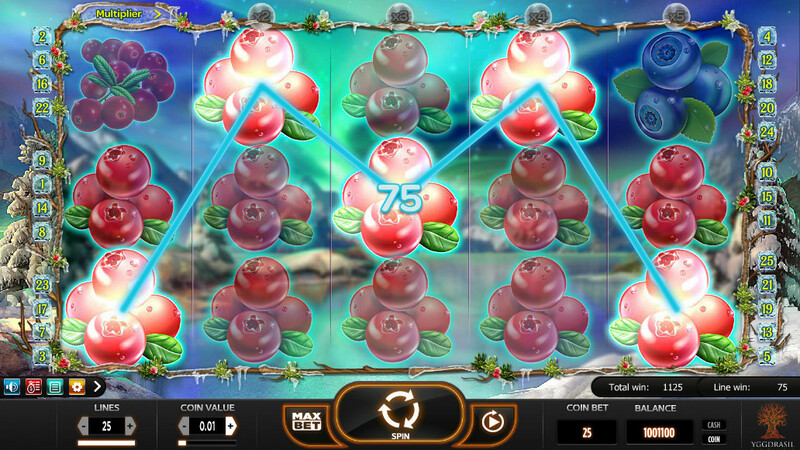 Nevertheless, the model Winterberries is so colorful and interesting that it is highly appreciated by our readers and experts, who put the game in the second place in the ranking. It should be said that this slot does not have many options, but available features make gameplay incredibly interesting. 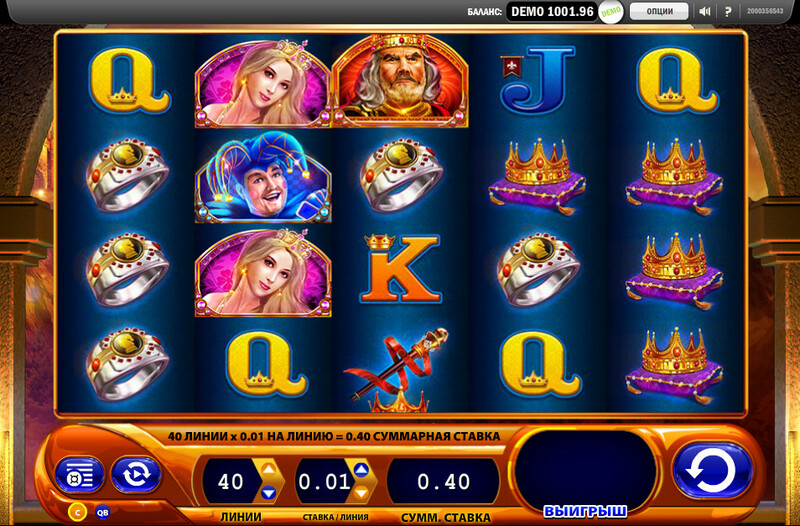 Repeated spins with the additional multipliers and exquisite design are especially pleasant. The third position of the list of the best gambling games belongs to the 3D video slot Scary Friends from another new company that conquers the hearts of customers with the help of incredible models. This novelty immediately increases the mood by funny characters and cool three-dimensional graphics. Numerous special symbols, exciting prize spins and other options oblige to play spin by spin on the slot machine and do not allow getting bored for a second, even in training mode. Detailed reviews of all the above-mentioned games can be found in a special section of the portal Casinoz. It should be noted that a lot of other interesting video slots and models of other genres were released in the past month. So, three top video slots of January. The first place of the ranking is occupied by the online slot machine Good Girl, Bad Girl from Sheriff Gaming. It is interesting that users can initially choose a dark side or a light side (or prefer an intermediate version). Models differ from each other by the frequency of large and small combinations, as well as some other features. The undoubted advantages of Good Girl, Bad Girl include amazing 3D-graphics, a variety of features, an opportunity to play in flash mode, and so on. There is no need to doubt: this model will give you many positive emotions, even in training mode, not to mention the game for money. The silver medal of our tournament is given to the video slot Zeus III from WMS. It is not difficult to guess that it is the third part of the model Zeus. The previous two models were certainly interesting, but they could not compete with this online slot machine. First of all, the game fascinates by unusual interface with six reels of different sizes. Bets can be made on 192 active lines. 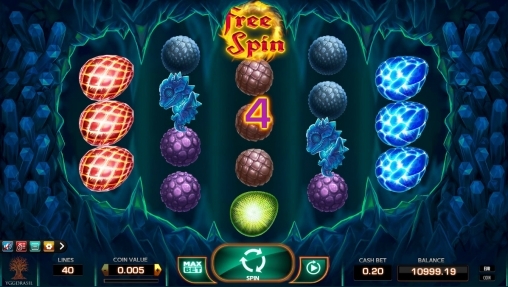 There are cool symbols with special abilities, beneficial free spins and other options. The third place belongs to the funniest model. 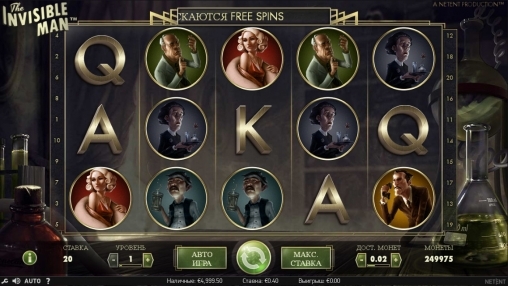 This video slot Napoleon Boney Parts, which is developed by the company Nextgen Gaming. It is funny in everything: symbols, bonus rounds, animation, sound, etc. You will meet the legendary general, who appears in a somewhat unusual but funny way. 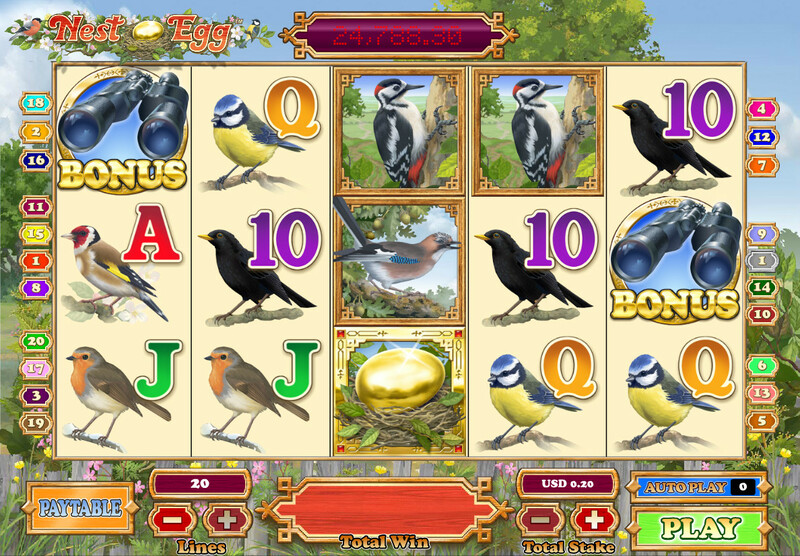 Features of the slot include a bonus round, special symbols and other things that you will surely like. Reviews of these and other models that are released in January can be read in an appropriate section of Casinoz.